BMI, or Body Mass Index, uses your weight and your height to determine if you are underweight, healthy, overweight, or obese. It is calculated by dividing your weight in kilograms by the square of your height in meters. BMI provides a pretty accurate way to track any changes in your weight. 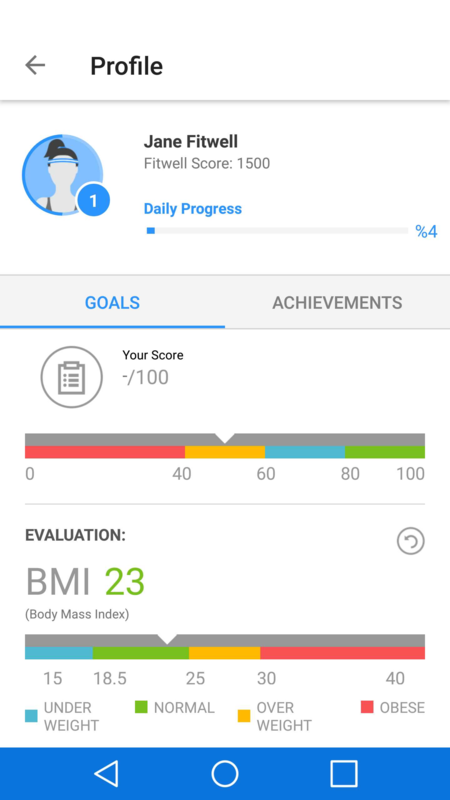 Fitwell calculates and tracks your BMI for you to determine the success of your progress. You can find this information by clicking on the hamburger menu on the top right of the screen, clicking your name, and scrolling to the bottom of the screen.